You can log into Clive at https://app.clive.cloud using one or more of the following methods. 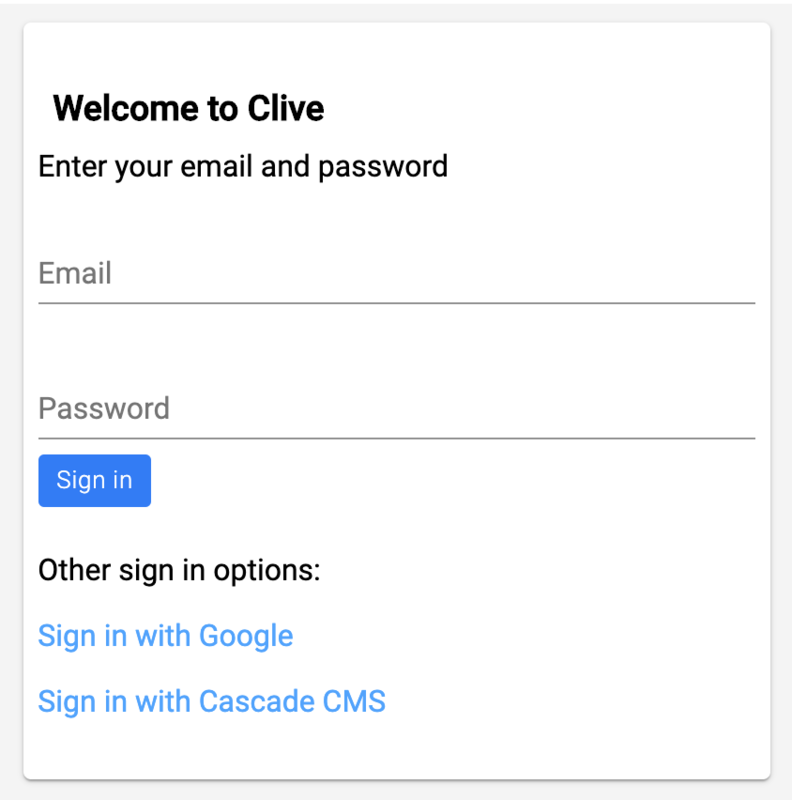 Log in directly with the email address and password associated with your Clive user. Enter the fully-qualified URL to your Cascade CMS environment (i.e. including the https:// prefix). If you're not already logged into the CMS, you'll be prompted to log in with your Cascade CMS username and password at the CMS login screen. You have a user in Clive. The email address associated with your Clive user and Cascade CMS user match. You'll be prompted to choose the Google account you'd like to authenticate with. The email address associated with your Clive user and Google account match.